It really is a testament to the talent and charisma of Saoirse Ronan that Mary Queen of Scots is still worthwhile viewing. The star is bloody good as the titular heroine. Her achievement kept me enrapt. I can’t say the same for the rest of the picture. After the death of her husband Francis II, King of France, Mary Stuart returns to her native Scotland. Both Scotland and England are under the realm of Mary’s cousin Queen Elizabeth I (Margot Robbie). Yet she asserts her claim to the English throne. Elizabeth regards Mary’s actions a direct threat to her ruling authority. The largely Protestant government there has outlawed Catholic mass. Mary preaches tolerance of both religions. She immediately incurs the wrath of Protestant cleric John Knox (David Tennant) who is her vocal critic. The colorful ensemble boosts a flawed production. Diverse casting choices include Gemma Chan as Elizabeth Hardwick, Ismael Cruz Córdova as David Rizzio, and Adrian Lester as Lord Randolph. These aren’t historically accurate decisions, but they distinguish this interpretation as a contemporary tale, so there’s that. Naturally beautiful Margot Robbie is cast as the heavily made up Queen Elizabeth I. She is suffering from smallpox under what looks like pounds and pounds of foundation. Director Josie Rourke cuts back and forth between the two monarchs to contrast their differing points of view. Robbie is very good too. Her appearance pops up here and there, but this is Ronan’s movie. As ancient history (16th century), nothing I discuss here should be considered a spoiler, but the two don’t even share the screen until the very end. Even then, history teaches us they never even met at all. I am a sucker for a stately well-done period piece. This isn’t it. History buffs are likely to go into conniptions over the inaccuracies and even fans of tawdry soap operas are likely to find the events questionable. I won’t get into details but certain developments surrounding Mary Queen of Scots’ second husband, Lord Darnley (Jack Lowden) compelled me to research their veracity. Some of this is pure fantasy at worst and loose conjecture at best. The costumes are sumptuous. The production design is heavenly and as mentioned earlier, Saoirse Ronan anchors it all with a captivating performance. I say if you’re already obsessed with biographies about monarchs, this should satiate your fix. Although the timing of this release couldn’t be worse. There’s already an irreverent film about a queen currently playing at the multiplex right now (The Favourite). It’s so much better. What captivated me most about First Man is how it transformed the conventional into the unique to tell this story. That is to say, the difference between what I was expecting and what I got, was unusually fascinating. I’ve seen The Right Stuff and Apollo 13 and Hidden Figures – movies that touch on achievements in space travel in different ways. One thing that unites them all is scope – each production details the stories of multiple people to tell their respective accounts. First Man in contrast is told from the exclusive perspective of a single astronaut. Writer Josh Singer (Spotlight, The Post) adapts from James R. Hansen’s biography First Man: The Life of Neil A. Armstrong. The screenplay isn’t concerned with the inner workings of NASA or details of the Apollo 11 mission. It simply presents the personal point of view of Neil Armstrong. In light of the current cultural conversation, First Man has a surprisingly traditional point of view. Recent portrayals (Hidden Figures) might contend otherwise, but this representation of NASA is overwhelmingly white and male. There has been a reactionary controversy regarding director Damien Chazelle’s decision not to illustrate the physical planting of the American flag on the moon. True it isn’t depicted, but it’s a moot point. The idea that this is a U.S. success is visually well documented in the film. The American flag is seen on the surface after it has been planted as well as visibly sewn on all of the astronauts’ uniforms. The words “United States” are clearly emblazoned on the side of the rocket ship. A coda highlights an interview with a French citizen who speaks highly of U.S. resolve. The outrage against a perceived left-wing agenda is ironic. The mood for most of the drama is practically a commemoration of a bygone era when men were men and women stayed home and minded the kids. Neil and his wife Janet (Claire Foy) have this relationship. Oh and let’s start with the fact that that the very title of the picture is First MAN. It’s interesting that Chazelle acknowledges that not everyone was a fan of the space program. There were those who felt that the billions spent could be put to better use. Actor Leon Bridges portrays revolutionary musician Gil Scott-Heron as he recites his spoken word poem “Whitey on the Moon” – a searing indictment of the space program and conservative values. This appears right after vintage footage of author Kurt Vonnegut questions the cost of the American space program in light of a country with citizens that still didn’t even have food to eat or a place to live. It’s a valid argument. A cabin fire during the Apollo 1 mission kills astronauts Gus Grissom (Shea Whigham) Ed White (Jason Clarke ) and Roger B. Chaffee (Cory Michael Smith) on board. At this point I started to question, should we even be doing this? I mean is the value of the knowledge you gain from space travel worth the grievous loss of human lives? Despite these moments, there is no question that the narrative means to idolize its subject and his purpose as an American hero. As Neil Armstrong, Ryan Gosling is a very interior individual. He’s a man of few words, relying more on expression than language. Honestly, it’s the kind of “quiet” performance that Gosling has been doing his entire career. From his starring role in Drive to Officer K in Blade Runner 2049, Gosling has always been a bit of an enigma when he isn’t in a comedic role. Neil Armstrong is stoic man’s man that is an emotionally distant husband. It’s suggested that the agony he experienced from the death of his 2-year-old daughter from cancer drives him to focus his repressed grief into the space program. Regardless, Neil is admirable in his role as an explorer. He’s completely immersed in his patriotic work. Yet, as a human being, he is the idealized portrait of macho blankness. His feelings are suppressed to the point that he is an emotional void. There’s little in this individual with which the viewer can identify. For example, if someone were to bring a cassette of their favorite music in 1969 most people would probably bring something along the lines of the Beatles or the Rolling Stones, a little Motown perhaps? Not Neil. He brings an orchestral piece called “Lunar Rhapsody” by Les Baxter. Although this is clearly Neil’s story, there is room for a few supporting characters. His fellow astronaut Buzz Aldrin (Corey Stoll) has more personality. The script paints Buzz as a bit of jerk, but there’s no denying that he has a lot more charisma. Watching him bound up and down in the distance is so different from Armstrong’s more reserved behavior on the moon. I secretly longed for an account about Buzz actually. Interestingly the emotional weight of the narrative rests on Neil’s wife Janet (Claire Foy). Foy’s performance is so subtle and of so little dialogue that it didn’t affect me until after the chronicle was over. However, upon reflection, her acting is rather notable. She galvanizes our emotions. Her eyes speak volumes even when she isn’t given anything to say. Her achievement is impressive. She is the emotional center. First Man is a most intimate affair. This is a personal account seen through the eyes of one Neil Armstrong. The selling point is that director Damien Chazelle reproduces the “you are there” feeling that astronauts experienced during their flights. The movie opens with Neil flying a single-person jet in a test voyage. The camera shakes as the aircraft throttles uncontrollably. The view fixates on his eyes that remain wide open and alert. The plane sounds like it’s about to break away in pieces. The feeling of vertigo is almost paralyzing for the viewer. Yet Neil is the picture of calm. Chazelle shoots a few vignettes that rely on this visceral experience. Each display is a claustrophobic portrayal of a rickety vehicle barely held together by rivets and a nickel-steel alloy almost falling apart. Each punishing spectacle delivers an unforgettable sequence. It is both intense and authentic. The adventure ultimately climaxes with the Apollo 11 mission, It’s telling that Justin Hurwitz’ triumphant score is noticeably silent when they land. Chazelle dutifully recreates moments of the moon landing we’ve witnessed a million times. That includes Neil’s iconic statement “That’s one small step for man, one giant leap for mankind.” Yet Josh Singer’s screenplay is more interested in Neil Armstrong the man, than in detailing what the rest of the world was thinking. That gives First Man a unique perspective on this story. Keira Knightly and period pieces go together like tea & crumpets. I won’t feign impartiality. I can’t resist the combination of the aforementioned genre paired with this actress. When I walked into the theater to watch a biography of Colette, the French author, I was already primed to enjoy it. I walked out satisfied indeed. Any period piece worth its salt is initially going to be judged on its visual aesthetic. Colette excels. The production is a sumptuous evocation of France during the turn of the century. The rooms are beautifully appointed, the costumes are suitably detailed. There is an opulence to the surroundings that gently entices the spectator into the walls of this woman’s life and beckons one to luxuriate in her world. Cinematographer Giles Nuttgens (Hell or High Water) does a splendid job. He captures both the soft hues of the indoor scenes with warm light as well as the cool greenery of the outdoors with a crispness that invites the viewer to practically inhale the fresh air. The sophistication of the dialogue only adds to the refined setting. You’d think all this artifice would render a stuffy biopic, but the production is anything but. 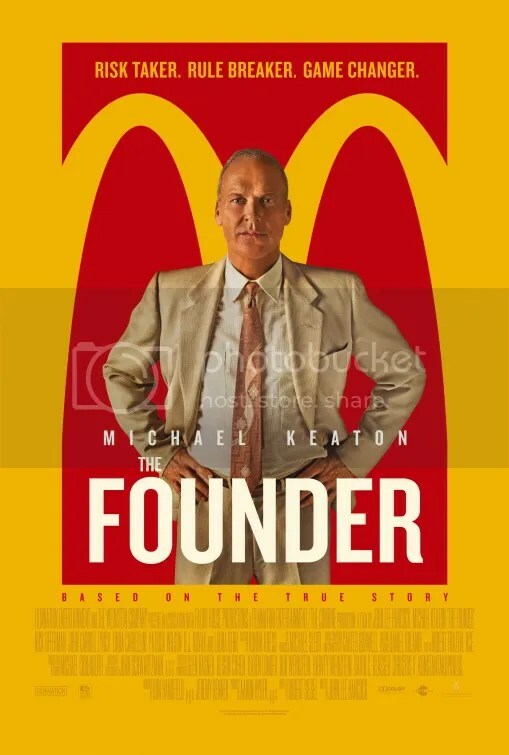 On the contrary, this is a provocative tale, directed by Wash Westmoreland (Still Alice) and co-written with Rebecca Lenkiewicz and Richard Glatzer, who passed away in 2015. The life of Collette has a few unexpected detours for those unfamiliar with the historical woman. Apparently, she was an independently minded spirit out of step with the social mores of her time. To be honest, I knew virtually nothing about the actual woman. The drama begins with a poor and seemingly shy country girl named Sidonie-Gabrielle Colette. When she secretly retreats to the barn to meet her lover, we soon learn as that she isn’t so demure after all. She ultimately marries that man, the worldly writer Henry Gauthier-Villars or “Willy” (Dominic West). He happens to be 14 years her senior. Willy compensates ghostwriters to pen books for him. When his finances no longer allow him to pay for their services, he appeals to his wife. He has realized her facility with words in their conversations. Her novel, or rather the book she writes for him, becomes a sensation in1900 – a somewhat biographical coming of age tale about a brazen girl named Claudine. The runaway bestseller leads to a series of stories focused around the young heroine. Although not depicted in this chronicle, Colette’s best-known work today would have to be Gigi (1944) on which the Oscar-winning Best Picture was based. Keira Knightley is Colette. Her embodiment of the character contributes tremendously to the success of the overall picture. There is a sort of a simple pleasure in seeing a bold woman surmount the strict confines of 19th century Paris, France. The film documents her marriage with Willy, which was quite unconventional even by today’s standards. Dominic West plays him as a cad to be sure, but he exudes significant charisma nonetheless. The two actors have convincing chemistry together. Even with their various dalliances, it’s easy to appreciate the love that Colette and Willy had for each other. Without revealing details, an “open relationship” is perhaps the most chivalrous way to describe their idea of what a marriage should be. The movie does take on a few too many plot threads for one film. Colette’s desire to assert herself as the true author of her novels belies her feminist awakening. This competes for the narrative’s attention as she comes to terms with her sexual awakening as well. Red-haired Louisiana heiress Georgie (Eleanor Tomlinson) and suit-wearing androgenous Missy (Denise Gough) become paramours. Despite the somewhat schizophrenic focus, Keira Knightley unites the disparate events of this gorgeous costume drama with a performance that seizes our attention. Her achievement ranks among her very best. I couldn’t give the actress higher praise. It’s certainly a tribute to the talent involved that the saga of an entity that “came in second” has been fashioned into a fairly absorbing drama about freedom of the press. The chronicle details a newspaper and their efforts to publish The Pentagon Papers. The New York Times was there first. They are the ones that broke the story initially, but then they were restrained by an injunction from continuing to do so. Their hands were tied, unable to divulge anything more without reprisal. The Washington Post stepped in and picked up the pieces. The Pentagon Papers were a top-secret study regarding United States’ military involvement in Vietnam from 1945 to 1967. In a nutshell, the research determined that the Vietnam War was unwinnable by the U.S. I’ll admit, that’s really simplifying things. The report comprised 47 volumes with approximately 7,000 pages of historical analysis and original government documents. Yet that itself was not the pivotal truth, but rather that Lyndon B. Johnson had actually lied to the American public about our ability to succeed in the war. In the recent Darkest Hour, Winston Churchill is depicted as doing the very same thing. Interestingly his actions are portrayed in a far more positive light. In The Post, however, the Pentagon Papers ultimately undermine both the Johnson administration and subsequently Richard Nixon’s as well. His crime was that he allowed things to progress without revealing the lie promoted by the earlier regime. Nixon is featured in a scathing scene at the very end. It’s hardly subtle, although most of the film is considerably more nuanced. The Post was actually hastily assembled by director Steven Spielberg during some downtime while making his upcoming sci-fi epic Ready Player One. The production feels like a timely response to the current administration and their antagonistic relationship with the press. Tension is constructed around the First Amendment. That makes the representation feel socially relevant and extremely shrewd. The attempt to stifle the press is a key component of this narrative. Curiously, what makes this composition fascinating, isn’t its attack on the presidency and the abuse of power. No, what makes the account compelling is the distinct character of Kay Graham (Meryl Streep). She assumed the role of publisher of her family’s newspaper, the Washington Post following the death of her husband. As interpreted by the inimitable Meryl Streep, Graham is further exalted as a woman making the biggest decision of her life – risking the reputation of her family’s newspaper on whether to publicize The Pentagon Papers. She’s unquestionably good, but it’s hard not to regard her mannered portrayal – as well as that of Tom Hanks as executive editor Ben Bradlee — as for your consideration bids to win awards. I never forgot that I was watching a talented actor giving a captivating performance. As Bradlee’s wife Tony, Sarah Paulson is a bit more natural. She delivers a particularly juicy monologue late in the game in which she basically schools her husband as to why Kay Graham is worthy of our respect. Strangely, Daniel Ellsberg (Matthew Rhys) the U.S. military analyst who was directly responsible for releasing the Pentagon Papers, has a surprisingly minor part. In the true-life tale, he played a much bigger role. The Post is a feminist anthem. As the only woman to hold such an exalted position, Kay Graham had difficulty being taken seriously by many of her male colleagues and employees. A scene highlighting her as the only woman in an all-male boardroom is notably effective. It’s apparent she was going to have to assert herself to be heard, It is that focus that makes this production unique. I hate comparing one picture with another. Movies should usually be judged independently of one another on their own merits. Nevertheless, it’s virtually inexcusable to not at least acknowledge the similarly themed Oscar Winner for Best Picture, Spotlight, when discussing this feature. That screenplay focused on reporting the information itself. With The Post, it’s more about the figure of Kay Graham as she risks picking up the pieces of what the New York Times initially started and continues on with it. That notion is less imperative by comparison. There are so many ways you could have approached this account. What the New York Times accomplished, what Daniel Ellsberg released, or how the Supreme Court ruled over these events. The meaningful details of these various plot threads demand far more attention than are given here. Nevertheless, in the hands of director Steven Spielberg and actors as talented as Streep and Hanks, it still becomes a pretty entertaining film. I always watch historical dramas with a skeptical eye. Especially in dramatizing events in which few individuals were present. I like to ask, “Did this really happen?” “What is the filmmaker’s point of view?” “Where am I being led?” In that vein, there’s a moment in Darkest Hour when I realized I was watching a work of pure fiction. Winston Churchill (Gary Oldman) purposefully takes the London subway, known as the Underground, in order to commune with the people. The good multitude are positively beaming with humanity. On his trip to Westminster, he has a magnificently fanciful discussion in which he summons an informal poll of the commuters and concludes what he must do. With forceful determination, they tell him to “Fight On!” in no uncertain terms. “Never surrender!” they all say. Churchill begins to recite the poem, “Horatius” by Thomas Babington Macaulay. A spirited black passenger completes the quotation flawlessly. Winston extends a hand to the young man, with tears streaming down his cheeks. He gathers all of their counsel and acts accordingly. It’s a completely fabricated piece of hokum, but darn it all, this bit of hogwash sure feels cinematic. This is the very definition of artistic license. I fully expect to see the clip on Oscar night. In Darkest Hour, Director Joe Wright (Atonement) has wisely limited his focus to a single month in the early days of WWII. This includes the decisions leading up to the evacuation of soldiers stranded at the coastal town of Dunkirk. This would make a nice companion piece to Christopher Nolan’s movie that came out earlier in the year. That story didn’t feature Churchill or even the Nazis for that matter. In contrast, this production is completely fashioned around the Prime Minister. A title card informs us that Hitler has invaded Czechoslovakia, Poland, Denmark, and Norway. It’s now May 1940 and Neville Chamberlain (Ronald Pickup) is being ousted as Prime Minister, leaving Winston Churchill to step up, He must now defend Britain against the onslaught of Adolf Hitler’s takeover of Europe. Churchill is presented as a rabble-rousing firebrand that united the Nation. His speeches and radio broadcasts helped inspire British resistance where they apparently stood alone in active opposition to a madman. His refusal to negotiate for peace is not without struggle, however. There’s the aforementioned Neville Chamberlain and also Foreign Secretary Lord Halifax, (Stephane Dillane), neither of which are given sympathetic portrayals. Chamberlain seems incapacitated. Halifax is contentious. Even King George VI distrusts him initially. The King may be quiet but he’s composed. Side note: Is this the same man whose exaggerated stutter was emphasized in The King’s Speech? A far more measured portrait of the man is given here. Anyway, decision weighs upon Churchill’s mind, “Should Britain enter the war and risk the lives of thousands or submit to the peace terms dictated by Adolf Hitler, a psychopath drunk with power?” This is the film’s driving focus. “You cannot reason with a tiger when your head is in its mouth!” Churchill hollers defiantly. He screams a lot here in declarations that wouldn’t be out of place in an NFL locker room. Darkest Hour lionizes Churchill as the great orator that stood up to a lunatic in a dark period of England’s history. That is the predictable angle. Churchill is one of the most revered figures of the 20th century. This is a prestigious British biopic perfectly constructed as a vehicle for Gary Oldman to win an Oscar. He is more than up to the task. Oldman is compellingly watchable, buried under pounds of prosthetics so the lean actor can embody the corpulent frame of the actual man. It’s a fascinating presentation of World War II in which everything takes place in the Parliamentary halls of discussion. Winston incessantly drinks booze, smokes cigars and occasionally sets aside time to confer with his wife Clementine (Kristin Scott Thomas) and his secretary Elizabeth (Lily James). Winston Churchill’s powerful fortitude is highlighted to glorious effect. Darkest Hour is a glowing display of a man that assumes the role of a saint even when he lies to the British populace about how well the war effort is going. He misrepresents the facts in a radio address to bolster the morale of the British people. FDR doesn’t come off as well. He is fleetingly referenced in a disheartening phone call where Winston asks for help and FDR can barely offer any assistance at all. The production is a glowing characterization that incorporates things that Winston did and didn’t say. It’s pretty easy for a 2017 audience to now concede that the courage to resist the Nazis was the right thing to do. It also helps that the Allies won the war, but back in 1940, it wasn’t so clear Hitler would lose. This is, as expected, a one-sided exhibition of historical fiction – a flattering representation of the leader of the Conservative Party whose strength of resolve led a country to victory. The antagonism Churchill faced is depicted as sorely misguided folks at who we can only shake our heads. Hindsight is 20/20. Detroit is such an all-encompassing title. This story might perhaps more appropriately be called the Algiers Motel incident. The narrative essentially begins with the onset of the 1967 Detroit riot. The 5 days remain one of the most destructive protests in the history of the United States. Only the New York City draft riots during the Civil War in 1863 and the L.A. Riots in 1992 caused more damage. The events were precipitated by a police raid on an unlicensed, after-hours bar on 12th street. Many were arrested. The uneasy mix of white law officers and black patrons created a combustible flash point. The city became a war zone and tensions were high on both sides. On the third day of the uprising, the multiple firings of a shot gun from the Algiers Motel compelled the Detroit police department to storm the facility to investigate. Director Kathryn Bigelow and writer Mark Boal have produced a powerful film fashioned around an intense nightmare of questioning. It does this in a way that demands your attention even when it’s hard to watch. The police mistakenly believe the discharge of a starter pistol was sniper fire. Kathryn Bigelow demonstrates the police had justifiable cause to determine a gun had been fired. However, the reaction and subsequent night of questioning is an absolute horror that portrays the utter desecration of civil rights. The Michigan State Police are the first responders, but the National Guard and a private security agent were also on the scene at various junctures. When cops and soldiers pulled away from the motel two hours later, they left the bodies of three dead teenaged civilians: Carl Cooper, 17; Fred Temple,18 and Aubrey Pollard, 19 – all black – and nine survivors, two white females and seven black males, that were badly beaten and humiliated by members of the Detroit Police Department. The screenplay wisely affords us the chance to know these people. The victims are given detailed backstories. Larry (Algee Smith) is the lead singer of the Dramatics, an R&B group. Fred (Jacob Latimore) is his agent and friend., When their concert is canceled due to the riots, they end up at the Algiers Motel where they meet two white women at the pool, Julie (Hannah Murray) and Karen (Kaitlyn Dever). They invite the men back to one of the hotel rooms where they find Carl (Jason Mitchell), Lee (Peyton Alex Smith), and Aubrey (Nathan Davis, Jr.). A young veteran of the Vietnam War named Robert Greene (Anthony Mackie) shows up later. Although real names are used for the victims, the name of the antagonists have been changed. The movie’s main villain is Officer Krauss (Will Poulter). He still has the face of a child but wields control like an authoritarian drunk with power. Two of his followers are Officer Flynn (Ben O’Toole) who espouses clearly racist beliefs and Officer Demens (Jack Reynor), who gets caught up in the peer pressure mentality to impress his fellow partners. It’s not fair but sometimes the most shocking reaction isn’t caused by the bad people committing atrocities, but the good people who stand idly by and allow it to occur. One especially memorable individual is Melvin Dismukes (John Boyega), a black security guard from a nearby store who shows up to maintain order. He is a character that inspires particularly extreme emotions. He inspires sympathy, yes, but also frustration from his actions, or lack thereof. Kathryn Bigelow and Mark Boal have worked before on both The Hurt Locker (2008) and Zero Dark Thirty (2012), where methods utilizing torture were used to extract information. It should be noted that those films involved whole countries at war. Conversely, Detroit only affected the U.S., a city under siege where a police force, designed to protect its citizens, becomes the very opposite. Why this happened is a bit more perplexing. Kathryn Bigelow takes the time to illustrate how circumstances spawned a feeling of unease between police and civilians. Things had gotten so bad that by day 3 the National Guard had been called in. It was a war zone. The police were tasked with maintaining public order but tensions were heightened given the conditions of an escalating riot. The account could have been even more exploitative. There is care to show that some officers were concerned with preventing bloodshed using nonviolent methods. Granted the task to keep the peace was almost impossible, but there are situations that become exasperating. There are specifics that seem missing. Lawlessness was increasing and the abuse of civil rights was getting worse. Early on, Krauss shoots an unarmed looter (Tyler James Williams) in the back as the man is running away from him, obviously not a threat. Investigators later found the man dead. An outraged detective (Darren Goldstein) informs Krauss he’ll be charged with his murder and then — inexplicably — sends him back to the streets. This unsupportable behavior demands an explanation if for no other reason than to acknowledge the sheer absurdity of his actions. Detroit is a powder keg of a film. It will push buttons. Some of the developments defy comprehension. At one point the National Guard arrives to patrol the streets of Detroit as the riots continue. One little girl looks out her window to see the commotion that transpires outside. An officer shouts “It’s a sniper!” and a shotgun blasts away at the window. Mark Boal talked with the survivors who recounted experiences that took place 50 years ago. Given the passage of time, reminiscences are understandably based on recollections that may not be entirely factual. At the end, we do get a title card that notifies us that some events have been fabricated and may be fictionalized. Granted weighty issues have been simplified. There is no other way. It’s a 2 hour 23 minute movie and they simply have to be. But what Kathryn Bigelow and Mark Boal have done is extraordinary. Time gives us a clearer perspective. They have employed a controversial incident from our nation’s past and presented it to a new generation that now prompts more consideration to illuminate an ongoing issue. I was angry, horrified, sad — but mostly infuriated at what I saw. It’s a visceral production that recreates a crisis. It is violent, but the details of what befell that night almost demand that the savagery must be portrayed. The subject of police brutality and #BlackLivesMatter currently dominates the discussion on newspapers, TV, and social media platforms. Detroit seems more relevant today than ever. It’s not an experience you will enjoy, but it depicts a reality you must see. Dunkirk celebrates a wartime retreat. As such, it may seem like an odd moment in the history of WWII to dramatize. To Americans whose familiarity with WWII begins with the bombing of Pearl Harbor, it’s an event with which most U.S. citizens are unaware. Yet the battle holds a special uplifting significance to British and French troops. It concerns the evacuation of Allied soldiers that were under fire from German troops. The locale was the beaches and harbor of Dunkirk, a city in the north of France. Hundreds of civilian boats carrying survivors were able to make it across the English Channel, under German fire, and back again. The evacuation was such an amazing defense of life that it’s often referred to as the Miracle at Dunkirk. Its importance is best summarized in an eleventh-hour exchange here in the film: When one well wisher offers a sincere “Well done,” the soldier’s response is “All we did was survive.” “That’s enough,” offers the passersby. The encounter was a testament to the perseverance of the human spirit. As a work of art, Dunkirk is a sensory composition. Christopher Nolan creates an intense optical and auditory experience that feels like the real thing. Sound and visuals combine to give the viewer a wartime understanding unlike any other. The director’s preference for practical effects at the expense of CGI is well documented. The manifestation never once seems like anything less than the real thing. The cinematography and the music combine to fabricate a wartime experience like none other. Much of Dunkirk has been shot using IMAX cameras and makes use of the widescreen format. If you’re lucky enough to live in one of the 31 cities equipped with such a screen, then I’d strongly advise you to seek out one of these showings as the presentation is much improved. I saw the film twice, in both 35mm and 70mm IMAX and the difference is enough to recommend the latter and condemn the former. The graphics are awe inspiring in both, but the impact is significantly marginalized in the non-70mm format. Director Christopher Nolan is solely credited with the screenplay. He has fashioned the chronicle as a somewhat confusing muddle of action. Three separate stories that each take place by land, sea and air, transpiring over three different time frames. Title cards in the beginning give the viewer an assist in grasping what will transpire. The auteur is well known for playing with time, but here it works to the detriment of the narrative. Nolan takes risky liberties in telling a linear story. These different timelines are confusingly edited with flashbacks that revisit previous scenes sometimes from a new perspective. When a character leaves one account and pops up in another tale, interpreting the timelime can get a bit dicey. Nolan’s technique hinders our ability to comprehend what is happening when. “The Mole” is a somewhat puzzling title card that refers to the land story. I wonder how many people will realize that a mole is a massive structure used as a pier. Its double meaning as a spy is probably intentional, but I wish I had known that bit of information beforehand. This drama takes place over a week and concerns a young British soldier (Fionn Whitehead) stranded on the beach, who must find a way off this ill-fated stretch of land. The area has filled up with thousands of British Expeditionary Force fighting men. The Germans are closing in. Kenneth Branagh plays a naval commander and James D’Arcy is an army colonel. They search the skies for the enemy Germans and await an air rescue effort that does not materialize. “The Sea” is one day in the life of Mr. Dawson, as portrayed by Mark Rylance, the only actor allowed to actually give a “performance”. He is a civilian sailor throwing himself into the rescue effort by steering his tiny wooden yacht called Moonstone, along with his son (Tom Glynn-Carney) and a local boy (Barry Keoghan) eager to take part in something bigger than himself. Actor Cillian Murphy plays a stranded survivor they pick up along the way. “The Air” is the third tale and takes place over an hour. Jack Lowden and Tom Hardy are pilots for the Royal Air Force Spitfire. Fans of Hardy’s handsome features will surely be disappointed. His face is obscured by a mask for almost the entire duration of the picture. Additionally, it’s impossible to understand anything he says. But oh those dogfight sequences! They are some of the most impressive demonstrations in the entire picture. Dunkirk is a film about spectacle. It soars with gorgeous cinematography by Hoyte Van Hoytema that is breathtakingly expansive even when it’s detailing claustrophobic conditions of a ship in battle. Seas of young, white British soldiers huddled in the hull of a ship. An unknown assailant begins firing upon their vessel. The scene is indeed intense. Yet these men become almost indistinguishable from each other. We cannot connect to these people individually. I suppose that’s not the point. Nolan’s study is a film about a war effort that forces us into a mass of anonymity. The profusion of humanity is a wash of gray-brown uniforms. The absence of color is a common motif that comes up over and over. Indeed the only red we see is not blood but the jam on the bread the soldiers eat in the hull of a ship. This makes Dunkirk a saga that’s emotionally distant. Yet what it lacks in compelling stories it makes up for in bombast. Hans Zimmer’s score is loud and blaring and cacophonous as it emphasizes the visual display being witnessed. It’s rousing to be sure even when it drowns out the dialogue. Conversation is held to a bare minimum. Dunkirk is a feature built upon the very exhibition of war, not upon the chatty developments that usually compel an adventure forward. The bits of talking here and there are rendered unintelligible by thick British accents that I assume only people familiar with regional dialects will recognize. I couldn’t understand most of what was being said. It’s not a deal breaker though. The script is conversationally sparse. Dunkirk is not reliant on discourse It extracts passion out of a circumstance. Dunkirk’s greatest attribute is how it sidesteps all of the cliches of the “war movie”. This is not a traditional war epic. It’s a film that features very little in the way of exposition. If you’re waiting for a scene where the soldier talks about his girl back home, you’re watching the wrong account. Don’t expect to find a declaration from a disillusioned character outwardly expressing the horrors of war. Other than distant planes flying overhead, we never even see the enemy. Dunkirk isn’t about dialogue, or performances, or a sentimental bond to people, or even one to emphasize the bloody viscera of war. Although the action is most definitively a visceral experience. It’s the narrative as a sequence of “you-are-there” action setpieces that begin almost immediately and never let up until the end of the production. First, you’re on the beach, then in the cockpit, now you’re aboard Rylance’s ship. The thrill is so immediate it’s practically physical. It’s explosions and aerial photography and gray masses of huddled individuals trying to survive. You will understand the suspense, fear, and dread of what it would be like to endure war, but without that emotional connection to the actual people. Jackie is a film that almost dares you to enjoy it. It’s never dull, but it’s so acutely focused on dramatic posturing that it completely ignores the kinds of things that normally compose a movie. This is an account that is less interested in action, drama or a plot. The chronicle focuses acutely on technique. It’s less a movie and more of a work of art to be viewed. The performance as an expression of method. Come see the newest biographic installation! 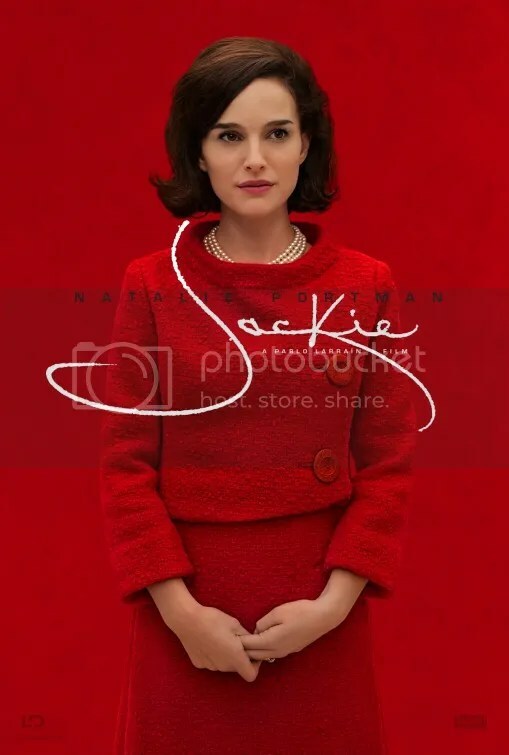 It’s Jackie Kennedy as embodied by Natalie Portman! The “plot” concerns the days and weeks following the assassination of her husband. Jackie is a character piece in which a devastated woman makes the first steps to engineer her own legacy. According to the screenplay by Noah Oppenheim, she was obsessed with image. How will she and her husband be remembered? She’s worried about perception, not reality. The same could be said of this movie. It begins with the interview Kennedy gave to Life magazine reporter Theodore H. White (Billy Crudup) in Hyannis Port, Mass a week after the assassination. The film alternates between the day itself, the state funeral, and frequent flashbacks to various events when her husband was alive. Oh, she also argues a lot with her brother-in-law, Attorney General Robert F. Kennedy (a shockingly miscast Peter Sarsgaard). At times the circumstances are horrifying. Mica Levi’s (Under the Skin) discordant score punctuates this. The violins swell and plunge so as to emphasize her overwhelming sense of dread. More of an intrusion with the action on screen than an underscoring of it, they interrupt the scene, calling attention to itself. She steps off the plane in Dallas and the music drowns out the sounds of the crowd. It rises to the point where it supersedes what the people are saying. At first, they merely hint, but midway through they have taken over, hijacking the narrative and sabotaging the participants. It’s an edgy choice and one that would beautifully frame a horror movie. For a biographical drama, it’s distracting. Natalie Portman’s rendition can be most equitably described as uncanny. She’s certainly got the look and feel of the character. The fashions are nattily precise. She gets the mannerisms down. Her vocal delivery is a combination of raspy mid-Atlantic accent and breathy whisper. It is an emotional achievement, but it all amounts to a sort of a ghostly manifestation. The style of her fashion and the lilt of her voice are beyond reproach, but the soul of the woman is oddly missing. Her patrician beauty and poised demeanor belie a chilly personality. We get that Jackie, though stricken with grief, is full of steely resolve, but she remains remote. She stares out zombie-like into space. Her presence is ethereal. Jackie is particularly cold during the interview segments. She is curt and controlling, dictating which statements interviewer White can and cannot publish. Recreated scenes of her TV special, A Tour of the White House, seem especially artificial with exaggerated smiling and mock enthusiasm. Granted the real thing was a bit of a pretense, but Mrs. Kennedy still seemed sincere. It’s on YouTube. Compare for yourself. Jackie paints a portrait of a brittle, harsh individual, that is so peculiar in its affectations that you cannot look away. The performance will most certainly draw Portman attention come awards season. It’s too conspicuous not to notice. This is Natalie Portman’s movie. She is Jackie Kennedy. The narrative is entirely composed of vignettes in which she interacts with various people. In that sense, it’s a chamber piece rather than a biography. Jackie is indeed an intimate portrayal, It revolves around her, every line, every scenario, every interaction fills Jackie. There are admirable qualities. The production has an eye for period detail. It looks exquisite. However, a gorgeous facade is not a raison d’être. As she weeps and drinks and smokes and snarls we get an unorthodox depiction. There’s a moment where she washes off the blood from her dead husband in the shower. Chilean filmmaker Pablo Larrain certainly makes bold decisions in his treatment of this icon. I suppose one can admire his desire to innovate. It’s not conventional. Yet the work is assembled like a collage, with bits and pieces coming together but never coalescing into a unified whole. What are we to make of Jackie Kennedy? Who was this woman? What made her tick? I still have no idea.